A variety of delicacies from across the country is a prominent feature of an upcoming celebration of India, which includes food, music, tradition and myriad crafts of the country here. The three-day GIG carnival set to begin on January 5 at the Jawaharlal Nehru Stadium has been curated by Gourmet Planet and is part of the ‘Incredible India’ campaign of the Tourism Ministry. Among the delicacies included are those from North-East such as black rice, tiger prawn momos etc, Amritsari Chajju Ji ki tikki and parantha, Tunday Kabab from Lucknow, Rajasthani Kachori, Kuremal Ki Kulfi and Hyderabadi Biryani. “Chaats from seven cities- Mumbai, Lucknow, Bhopal, Agra, Varanasi, Delhi, Kanpur are on the fare. Apart from this we have some of the best restaurants from the city’s participating,” says Sonny Walia, curator of the festival. Walia says the eateries have been chosen with care to provide a eclectic gastronomical experience. “For example we have a very popular eatery from Jama Masjid area, it is a legendary one and the owner has never ventured outside the walled city. Another restaurant owned by an Uzbeki family and there is another that specialises in biryani,” says Walia. 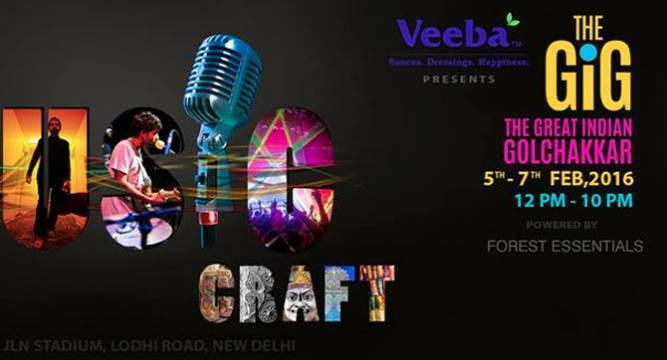 Over 30 performing acts from across the nation catering to every kind of music ranging from Jazz and Blues to Ska, EDM, Electronica, Hindi Rock, Sufi and everything in between is also lined up.